With religious body art on the rise, it makes sense that the Lion of Judah tattoo would be one of the more popular ones. Mainstream and alternative religions have been gaining more of resurgence and as such religious body art is also gaining in popularity. Regardless of which belief system you may practice; be it Christianity, Catholicism, the Jewish traditions or even Wicca and Paganism, there is a tattoo for you if you so choose. The Lion of Judah means several things to different people depending on your religion and culture. The Lion in many instances means courage, strength and power and that transfers well to putting it into a religious connotation. Different cultures may practice the same religion but not all of them hold the exact same beliefs or philosophies. The Lion of Judah is one such instance because it is not always found in biblical text. 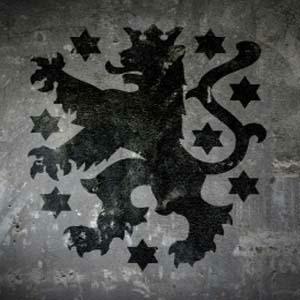 Regardless of your particular beliefs, either rendition would make a good Lion of Judah tattoo. The biblical Judah, within Judaism (Yehuda in Hebrew), is the original name that was given to the Israelite tribe of Judah which has always been symbolized by a lion in the Book of Genesis. Jacob ("Israel") was the patriarch in the Book of Genesis, and he refers to his son as Gur Aryeh or, translated, a "Young Lion" when he was blessing him. Within the Christian belief system the lion is thought of to represent Jesus Christ. There are many churches and organizations in the Christian community that adopted the Lion of Judah for their emblem, flag or even their name. The Book of Revelations in the New Testament of the Bible has the phrase mentioned in 5:5; And one of the elders saith unto me, weep not: behold, the Lion of the tribe of Judah, the Root of David, hath prevailed to open the book, and to loose the seven seals thereof. The Kebre Negest is a 13th century treatise that recorded and elaborated upon the traditions of Ethiopia. In this treatise, it asserted that Israelites descended upon Ethiopia accompanied by the Queen of Sheba after she visited King Solomon in the city of Jerusalem and was with child; Menelik I. Christian and Jewish traditions both state that many of these Israelites came from the Tribes of Dan and Judah. 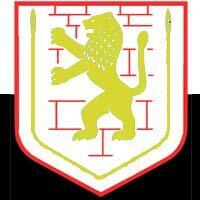 A motto of the Ge'Ez states: The Lion of the Tribe of Judah has conquered. 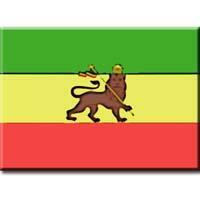 The Lion of Judah has been on the old imperial flag, stamps and currency. In the Rastafari culture the Lion of Judah actually has a real face: Emperor Haile Selassie I of Ethiopia. They hold him as a direct descendant of the Tribe of Judah through the lineage of Solomon and King David. They also believe he is the King of Judah referred to in the Book of Revelation. As you can see, the Lion of Judah makes for a very robust tattoo due to its legends and spiritual meaning that branches out all over the globe. As the belief of the Lion of Judah varies between cultures and religions, so do the tattoo ideas. You can certainly choose many flavors for your tattoo with the following only a few simple ideas. The Lion of Judah has seen its fair share of symbology in movies and literature which propels fans to get movie tattoos based upon the work. One of the most prolific instances of the Lion of Judah in a movie not specifically earmarked as "Christian" is in C.S. Lewis' Chronicles of Narnia. The character of Aslan was based off of the Lion of Judah. He is the creator, the warrior and the wisest of beasts that helps to moralize the characters.